Samsung Chromebook Pro Plus lets you enjoy more flexible controls and input, and the 2-in-1 design delivers three different modes. Like the design? Let’s continue checking. 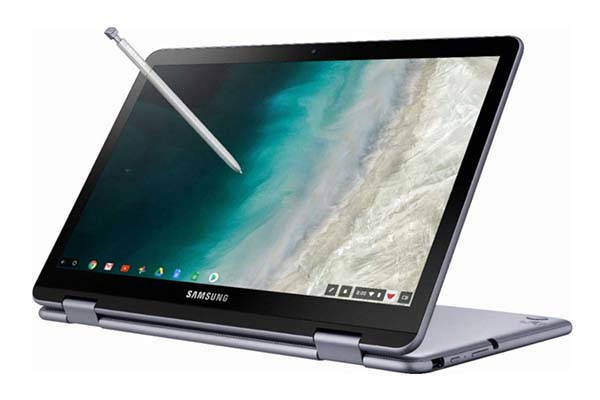 Samsung Chromebook Pro Plus is a flexible 2-in-1 Chromebook with touchscreen that measures 11.3 x 8.3 x 0.63 inches and weighs 2.93 lbs. 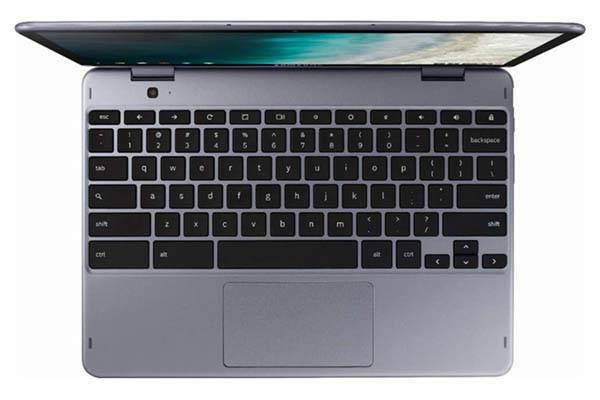 As shown in the images, the laptop delivers a smooth and elegant appearance design, and the unique rounded edges not only provide a comfortable touch, but also bring more elegance that pairs well with the rounded corners. Meanwhile, the compact and slim form factor ensures it’s ideal for commuting, studying or traveling. The Chromebook is powered by Intel dual-core Celeron 3965Y processor (1.50GHz, 2M Cache) with Intel HD Graphics 615 and comes equipped with 4GB DDR3 RAM and 32GB/64GB eMMC internal storage so that it’s able to deal with various applications, casual games and multimedia playback. Furthermore, it features a 12.2-inch Full HD WUXGA touchscreen display with 1920 x 1200 resolution for a comfortable mobile viewing experience. And 360-degree hinge design allows you to use it in four different modes including laptop mode, tablet mode and tent mode as well as media playback mode. Moreover, other features also include microSD card slot, 2 USB-C ports, USB 3.0 port, headphone/microphone combo jack, card reader and an included Digitizer Pen. Its 2-cell Lithium-ion offers up to 11 hours of battery life between charges. 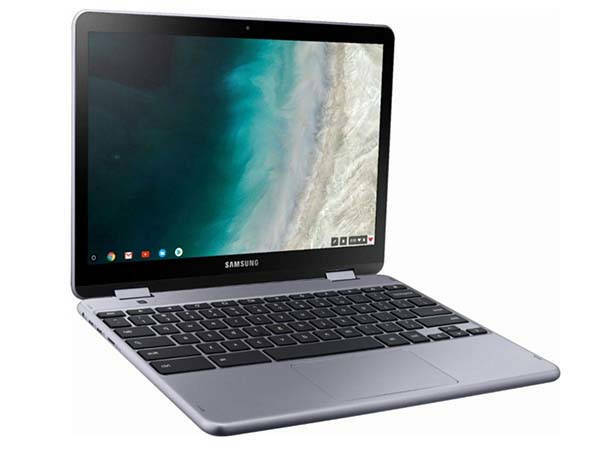 Samsung Chromebook Pro Plus is priced at $499/$599 USD. If you’re interested, jump to the product page for its more details.